Sponsored by Lions Club of Andal, our club of Asansol City was inaugurated in May 1997 by the then DG Lion S. K. Das, MJF, Ruling DG. Lion A. K. Ray MJF in a memorable ceremony in August 1997. Since then 14 years have gone by and / our club has crossed a number of milestones to be recognised as a quality club within the Lions fratermity. Now we are celebrating the joy of our ceremony for 15th Charter Anniversary. 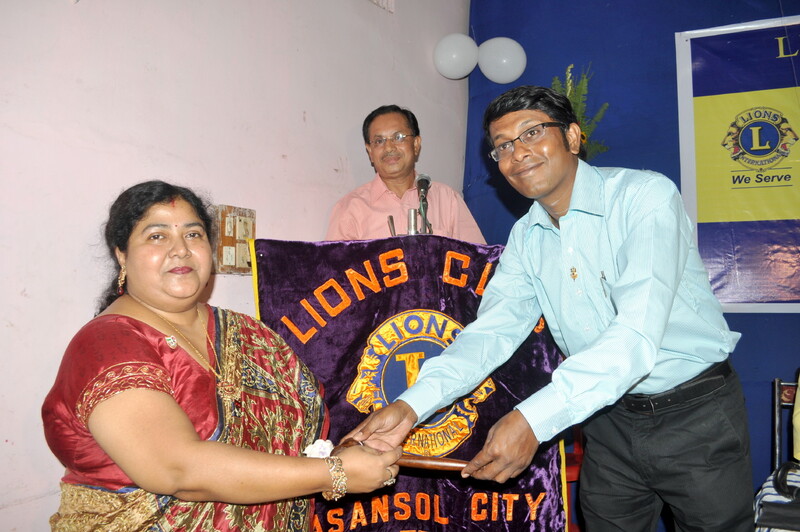 Coupled with this happy occassion our new club President for 2011-12 Lion Soma Hazra along with her Board of Directors are installed by PDG Lion Pradip Chatterjee, MJF on 26th June, 2011.